Err, mushroom cookies? Yes, that’s what I said too. But Geoff assured me this wasn’t as crazy as it sounded. I’m still not quite convinced he was right. Fairy ring mushrooms are one of the few fungi that grow in the summer in the UK, starting in June and going right through to November. The reason they can survive the hot weather is that they have a high concentration of the sugar trehalose. Even if they dry out completely, the sugar protects their cell structure and as soon as the next rain comes along they spring back to health. 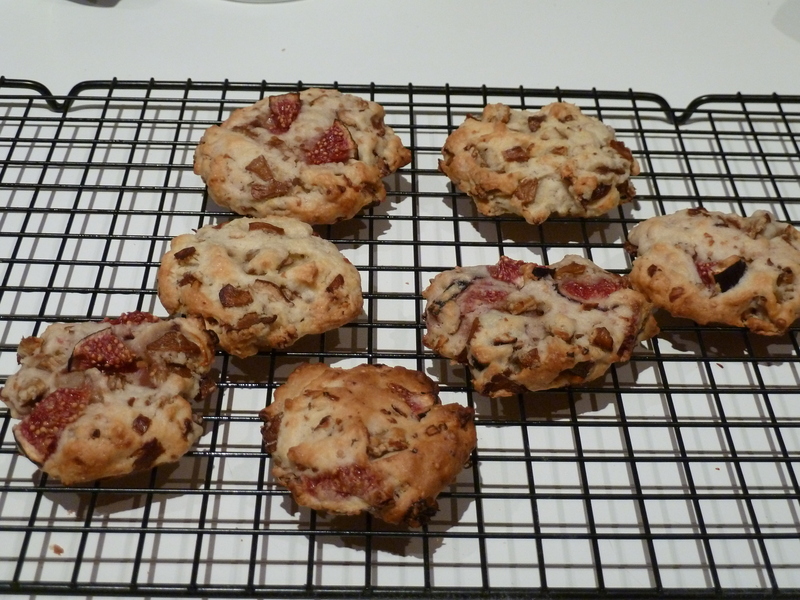 I made a basic cookie mix and added the mushrooms, then got rather disheartened at how unpleasant the mixture looked. So I decided to add some fresh fig to half of the mixture, for a bit of seasonal colour. They came out OK, but I don’t think I’d have been able to guess what the brown bits were if I hadn’t known they were mushrooms. The cookies were sweet, but not particularly tasty. The ones I’d added fig to were more interesting – and looked better too. I think in future I will experiment with drying the fairy ring mushrooms first, to get a more concentrated taste and interesting texture. I might also reduce the proportion of sugar. This one definitely needs some work! Heat the oven to 180C. Cream the butter and sugar, then add the flour and almonds and mix. 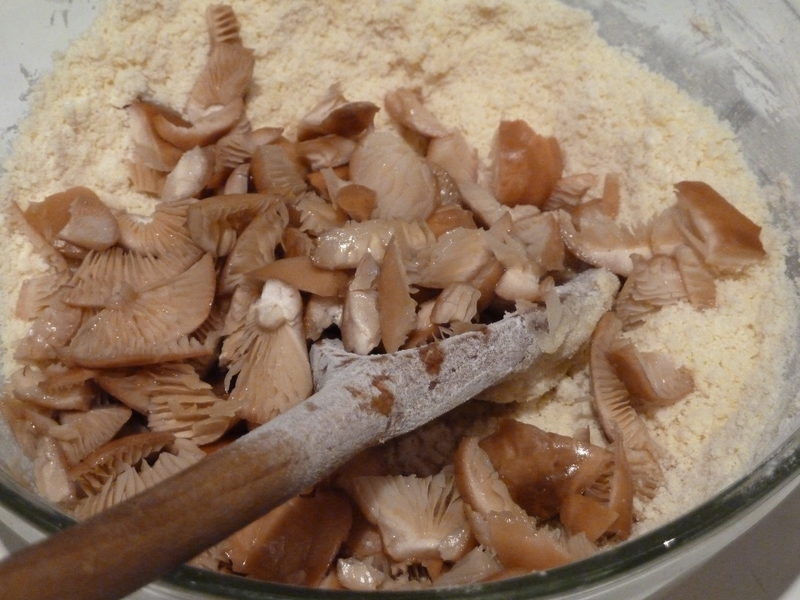 Chop the mushrooms and fig and add them to the mixture. Line a baking tray with baking paper, then roll the mixture into balls and flatten them into cookies. Bake in the oven for 15 minutes. This entry was posted in desserts, mushrooms and fungi and tagged fairy ring mushroom biscuits, fairy ring mushroom cookies by Cathy. Bookmark the permalink.